How to Use an Equity Partner. Debt can crush your ambition and hold you down. The right partner will provide what you need to grow together. How to Use an Equity Partner. Jack Butala: Welcome to our show today. 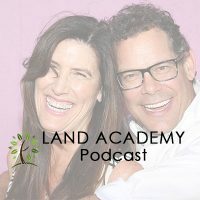 In this episode, Jill and I talk about how to use an equity partner. I love this topic, Jill. Before we get into it, let’s take a question posted by one of our members on the landinvestors.com online community. It’s free. Jill DeWit: A.K.A success plant right now if you’re looking for it. Okay. Lane, this is so funny, one of … Lane replied to a question with a funny comment here that we wanted to share, and the topic of discussion is Don’t F with Johnny Cokrin, my first hate call. This is really funny. Jack Butala: I would have sent her flowers. Jill DeWit: That was so funny! Jack Butala: You never address, send her flowers. Jill DeWit: “Put five zeros in front of that three and I’ll think about it.” Yeah, I’ll day long. God, that is good. Jack Butala: This just goes to show you that the worst thing that can happen when you send a ton of offers out is it get some kind of comment like this. You can’t pay for this kind of entertainment. I’ll pay $.49 to have somebody call me and say this kind of stuff all day long. It’s funny! Jack Butala: There is such thing as priceless assets, believe me. Jill has some priceless assets, trust me. So do you, listener. 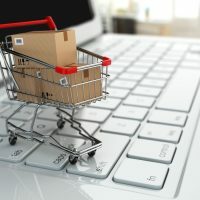 Jack Butala: With your knowledge on how to manipulate data to send offers out, that’s a priceless asset that’s going to return on its investment forever. But I’ll tell you what a priceless asset is not, it’s not a piece of real estate. A piece of real estate is only good … the value of that real estate is only as good as what people are willing to pay. Forget about comparison values, forget about all the stuff that your parents told you, forget it. Someone’s willing to pay X for a piece of real estate? That’s what it’s worth. This guy is off his rocker and that’s why it’s so funny. His wife knows it too. Jill DeWit: Well, you know what the bottom line? Well, the guy just doesn’t want to sell. That’s the thing and that’s fine, and that’s what a lot of it is. People will give you an astronomical price because they really don’t want to sell, but if it’s an astronomical offer, they would consider leaving their dream home kind of thing because they can create it again. Jill DeWit: That’s usually why they do stuff like that, and that’s fine. They don’t want to sell? Move on. Don’t hit them with another mailer or don’t beat their door, they clearly are not interested. Move on. Jack Butala: I’ll tell you what, and I’m speaking for my friend Joe here, that guy is a seller, all right? If he picked up the phone … Who hears he’s not a seller? You never hear from somebody who’s completely not interested in selling. They open the mail, they look at it, they laugh a little bit to themselves, maybe they show the dog and they throw it away. That’s not a seller. Jack Butala: Somebody picks up the phone that they are pretty interested in selling their property, they might not be interested at that price, but they are a seller. Jack Butala: Right, “instead of $1,000, I’ll pay you $1,250” and then you can see the steam coming out of his ears through the phone. Jill DeWit: I would say sometimes that works. Jack Butala: I know, Jill. I’ve heard you do it. Jill DeWit: Some people just need a, “You know what? This is a good point too.” Some people just need to feel like they negotiate a little something, and it might be a few hundred dollars, but you know what? That makes them feel good. Both Jack and I have done this. Me, probably more than you. I have said, “Okay. Is $200 make or break this deal?” No, it’s making this person seem really, really happy about it. I want them to be happy. I’m good with it. Jack Butala: The kinds of deals that we’re doing now, $200,000 don’t make or break it. If you buy an asset for $500,000 and it’s worth nine, would you pay seven? Would you pay $700,000 instead of $500,000 for an asset that you already sold, you already have a buyer, they know that they’re going to pay $900,000 because 900 is such a good deal, they have to. Jill DeWit: You’re not going to walk away. Jack Butala: You’re not going to make $400,000, you’re only going to make $200,000 for the same amount of merch, would you do the deal yes or no? Jill DeWit: Right, [crosstalk 00:05:00], but you still don’t want to walkway from a couple … No, didn’t meet my criteria. Jack Butala: There’s people who do that. Jack Butala: There are stubborn people who have just had these convictions, and it’s like they’re tripping over their own feet. Jack Butala: That sounds like this dingdong. I don’t know, it’s one of those kinds people. Jill DeWit: I know. There are a lot of gray areas in our business, but the overall concept is clear. Take the money and run. Don’t get hung up on the details. Jack Butala: We should do a show called Would You Do That Deal? Jill DeWit: It’s like a version of a show coming up that we’re going to talk about at some point. I think it’s next week about our Shark Tank. Jack Butala: Yeah, Shark Tank Land Take. Jack Butala: That’s a great idea. Jill DeWit: Okay. All right, we’ll do that. That’ll be fun. Jack Butala: You have a tougher problem of saying no than I do. Jill DeWit: And he will! Jack Butala: Because you’re a girl. Jill DeWit: No, because I’m trying to get the deal still because sometimes it’s a really good property and it’s a good deal but I’m going to beat my head over the wall, but I just leave the door open like … it’s cracked, like, “All right, well, here’s the deal, I’m happy at this price. I’m sorry I can’t do that price. If anything changes, you know where to find me. Give me a call. Have a great day.” Then you wait, and they might call, they might not, but it’s surprising the number of times people do call you back and go, “Yeah, six month, I have no bites. I thought my neighbor best friend was going to sell it for me, they’re a realtor, that didn’t pan out. Do you still want it?” “Sure.” There you go. 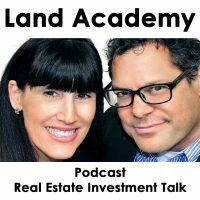 Jack Butala: If you have a question or you want to be on this show, reach out to either one of us on landinvestors.com. Today’s topic, how do you use an equity partner? This is the meat of the show. I love this topic, Jill. Let’s say you’re an incredibly bright person who understands spreadsheets, you’re a member of Land Academy, you send a mail route, bang, you’re staring at three deals, three beautiful pieces of property that passed all your tests, and they each cost $5,000. If you only had $15,000 … You know the properties are worth $15,000 or $20,000 each, you’re staring at three piece of paper that are going to generate $60,000 on a $15,000 investment but you don’t have 15 grand. What do you do? Do you take a home equity loan out on your house? Hell no. Your wife would kill you. Jack Butala: I like this buzzer. Do you go ask your brother-in-law for money? Jack Butala: This is kind of fun. Jill DeWit: Sound effects by Jill. Go ahead. Jack Butala: Do you sink your arm into your wife’s purse all the way down up to your forearm and dig around and try to find 15 grand in there? Jill DeWit: Eeer! That’s a hell no! You’re going to get your arm chopped off. Jill DeWit: Ding, ding, ding, ding! Jack Butala: Who understands the business you’re in and respects it and respects you. Jill DeWit: Ding! You win, Jack. Your prize today is $15,000. Go buy it. Door number three. Jack Butala: You find an equity partner. You don’t ever use debt. I mean, debt is for very sophisticated PhD level investors who understand stuff, all right? Even when we do not use that, not even for mortgages. Jill DeWit: Debt is bad. Debt is bad. Jill DeWit: It all comes back to that … Or, helmets. Jack Butala: Shoes. But if you interview four or five or six equity partners that understand real estate that they get land, which is harder to find than it seems, but you will find it. They’re going to be happy to flip that 15 grand for you, especially if you have the buyer and the seller. Now there’s just no way to lose. Trust me, when you find that right person … I know they’re out there because Jill and I talk to them all the time, they’re going to come back for more. They’re going to bug you to keep doing deals. They don’t want to send out mail, they don’t want to learn about data, for some reason I’ll never understand. I don’t know why they just don’t take a week out of their life and understand all this stuff, but they just want to throw the money around and watch it come back times four. That’s how you use an equity partner. Here’s not how to use an equity partner. I’ve made this mistake from personal experience, there’s lots of people out there who are dying to place money like private equity groups and they don’t know anything about the business that they’re in at all. That’s a really bad idea. There’s a lot of tech people that love to spend money on apps and invest in all kinds of things, but land, if they don’t understand it, it’s going to end in a fiery ball tragedy for you. That is how you use an equity partner and how you don’t use an equity partner. Jill DeWit: Ding, ding, ding! Jack Butala: Jill and I alluded to it earlier, we’re starting a company called landtank.com, also known as landcrowdfund.com, they’re a little bit different, but the result is the same. You’re a person who understands data and can come up with great transactions. You need to be matched up with money, and that’s what those two websites do. Jill DeWit: Just like Shark Tank, you’re presenting your property and your deal and everything … like Shark Tank they present their businesses and they’re looking for investors and looking for help and that last missing piece to push it over the edge. That’s what Land Tank will do. Jack Butala: If you are a person and an equity partner, I’ll tell you what, you can leverage the hack out of your time way more. That’s the benefit of being a money person versus an actual investor because … an actual bird-dog like we are. You can have 20 bird-dogs with one bank account or 400, you can really scale or leverage money. Jack Butala: Do you want to see another episode where Jack and Jill discuss how to use information, that’s me. Jill DeWit: An inspiration, that’s me … and sounds effects! Jill DeWit: We use it every day by property for half of what it’s worth and sell it immediately. Jack Butala: You’re not alone in your real estate ambition. I can’t describe to you how many people … every time I talk to somebody in the phone … Back me up here or tell me you disagree, please. Jack Butala: They say, “I can’t wait for this to come out. I can’t wait for this to come out.” We have all these new products coming out, we can’t develop them fast enough. Jill DeWit: Jack. I’m one of them. I can’t wait for this to come out, and that to come out and this to come out, and three of them are mine. I can’t wait too. Well, you know what? It’s in … It’s not us. You and I have the ideas and our people can’t keep up with us. Jack Butala: We’ve got multiple website developers working around the clock right now literally. Jack Butala: To get the stuff done. We’re not horsing around anymore. We’ve been waiting for quite some time on several groups and those groups are gone now. Information and inspiration to buy undervalued property.